With species hunt season upon us - Cornish Lure Festival this weekend - flavoured baits like Marukyu Isome, EcogearAqua and Gulp become more important in the quest for extra species. Carrying these baits and the smelly liquid they come suspended in, isn't without its problems. The fish attracting properties of these liquids does not appear to extend to loved ones! I've looked at the Meiho Liquid Packs before, so when I saw them in Japan I thought I'd commit to trying them. One of the cool things about Japanese tackle shops is the range on offer. 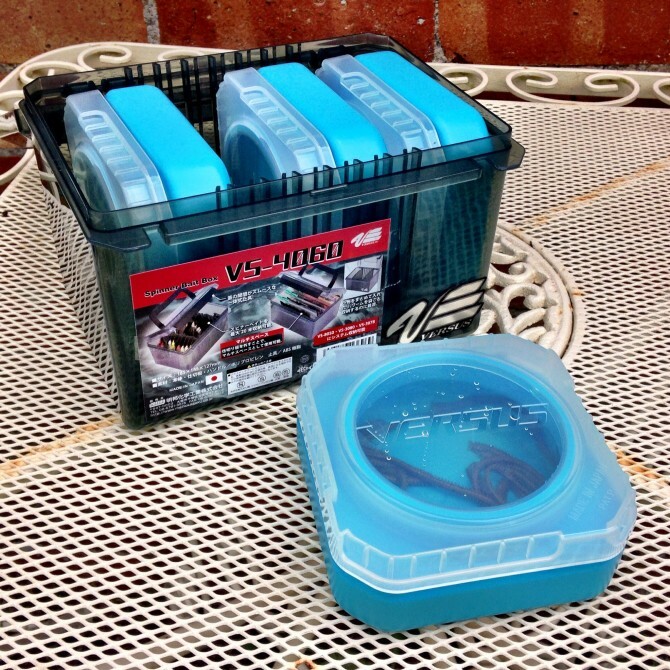 After playing around in one store I discovered that 4 large (blue) Liquid Packs fit precisely in the Meiho VS-4060 Spinner Bait Box. Result. I'm not sure if it's an OCD thing or just part of growing older, but it feels good to be better organised! They look cool, I would love hit Jap tackle shops.